My wife has been really busy this past week putting together a Christmas play. This means that for the entire week I have been the chef of the house…which also means that our best meal of the week was either fish sticks or cheese pizza night. Most of the time I just find something to put in the microwave. I’ve discovered that there are two types of TV dinners. One type you stick in for 4-5 minutes then have to turn something, or cut something, or stir something, and then put the thing back in for another 5 minutes. 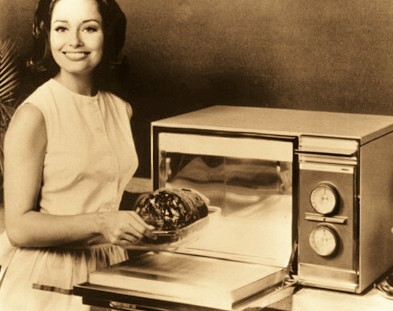 The second type, and my preferred type, is the one that allows you to stick a frozen dinner in the magic box, push a few buttons, wait 8 minutes, and then enjoy your now unfrozen dinner. It’s not an accident that “sufferings” is plural. We’ll undoubtedly have to endure many trips in and out of the furnace. Take heart, the Lord is radically dedicated to our good and He cares for us with infinite wisdom. I’d prefer one trip and I’m done. But the Lord would have me to be better cooked than that.